Wristbands will also be available for purchase from 6-8:30 on Friday night during team check-in at the Pentagon. Fieldhouse admissions and concessions are cash only. There will be NO OUTSIDE FOOD allowed at either facility. This rule will be enforced by event staff. POSITIVE. RESPECTFUL. INSPIRATIONAL. DETERMINED. ENTHUSIASTIC. At the Sanford Pentagon it is our standard to display good sports(wo)manlike conduct. Whether you are a player on or off the court, a referee, parent, coach, club director or staff member, you are eligible to win a wristband. Coaches, Club Directors and Event Staff will have wristbands to award. Awards must be given to people associated with a club other than your own. Show P.R.I.D.E. characteristics in all that you do. Be a positive influence on those around you on the court, in the stands and around the facility. There will be a photo booth set up at the Pentagon by the concession stand near Court 4. Stop by between matches! While you are there, grab a sticky note and sharpie to share words, phrases, or pictures to empower those around you. Need a little encouragement? Stop by and see what others have shared! Our sports medicine team will be avaible throughout the tournament. The training room at The Pentagon is directly across from court 8. 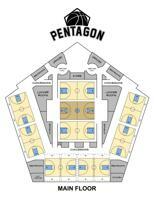 Official tournament apparel will be available in the lobby of the Pentagon. In addition, the Pentagon Team Store will be open all weekend. The Main Concession Stand (by court 6&7) and the East Concession Stand (by court 9) will be open each day. There will be a more limited concession stand each day at the Sanford Fieldhouse. 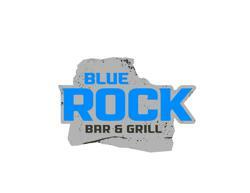 The Blue Rock Bar and Grill is open across the street for lunch and dinner.